I've never been a fan of beef aside from having it as a hamburger or as corned beef because most of the casual dining places I've had it from didn't cook it enough to get the tenderness I wanted. This was what I thought of when I got an invite to try out Australian grassfed beef at five restaurants last July 6. I wondered if I will like the food since I'm more fond of chicken and pork. Out of curiousity, I went for the tour anyway. The Australian Trade and Investment Commission (Austrade), Victorian State Government, and Meat and Livestock Australia (MLA) have collaborated with the Australian Embassy in the Philippines to bring us the third edition of Australian Grassfed Beef on the Menu. I missed the ones from the last two years so this will be a culinary adventure for sure. 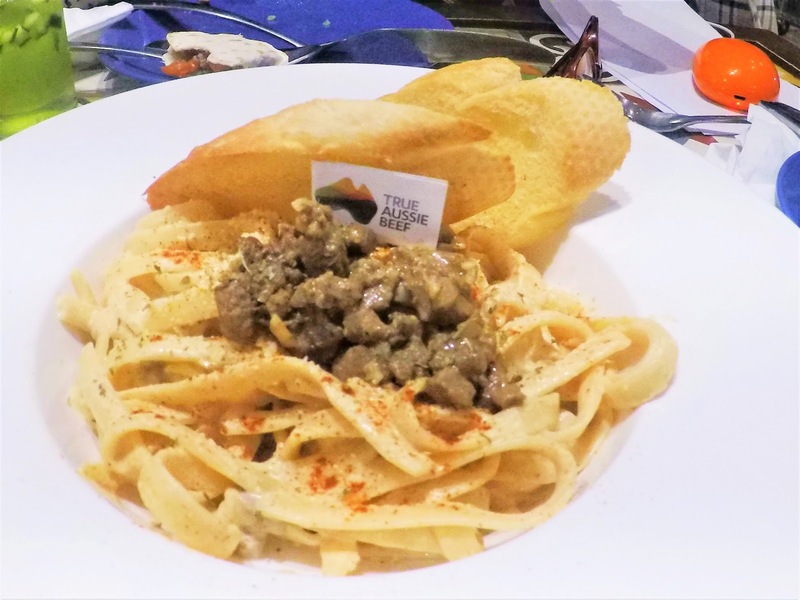 This Australian Beef dishes will be available until August 20 in all the participating restaurants. The first restaurant I'll feature will be Epicurious located at the Ground Floor of Shangri-la Plaza. My previous boss always raved that Epicurious and would always ask me to book her meetings there when the client is located in Mandaluyong. 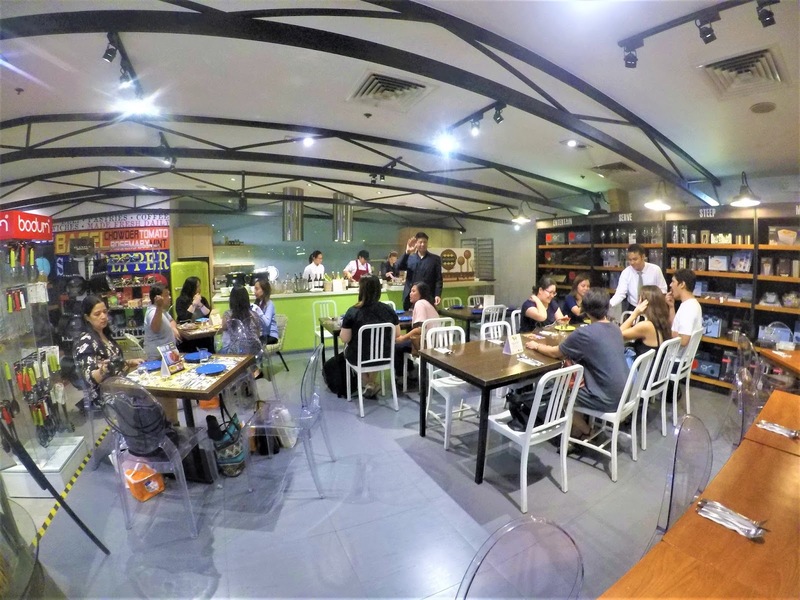 What I found interesting upon stepping in is it offers a full culinary experience to diners since there is a restaurant as well as cooking equipment and deli products for sale. 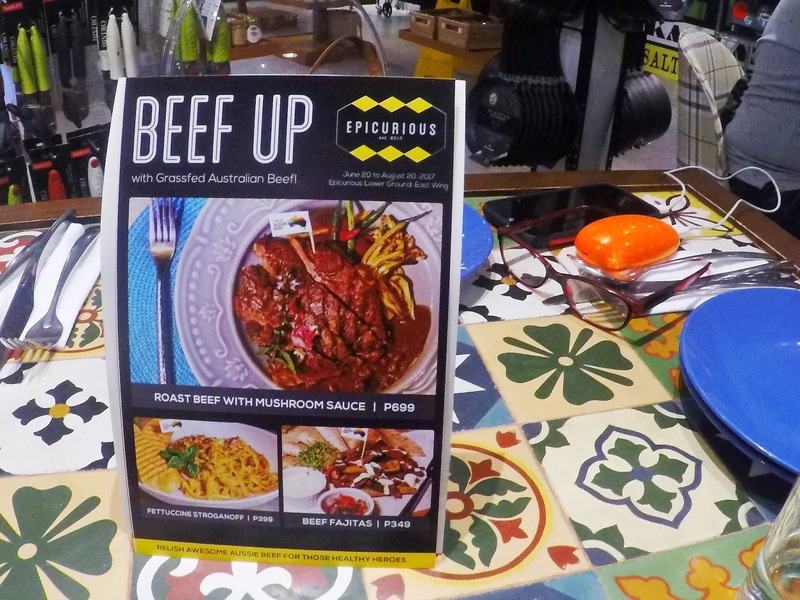 Epicurious featured 3 dishes with Australian grass-fed beef on the menu. 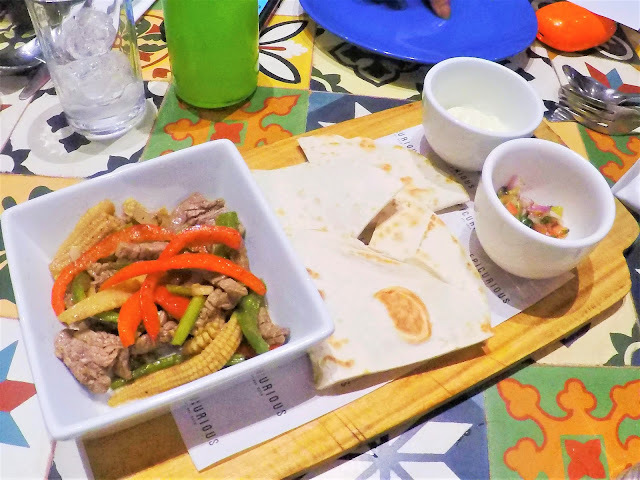 The two were great to have because they were like the usual dishes I get when I dine out but with a healthier touch because of the Australian beef in it. Among the three dishes, the Roast Beef with Mushroom Sauce was the one that stood out to me. Some of the people on our table were saying that it's weird for roast beef to have a salty taste. 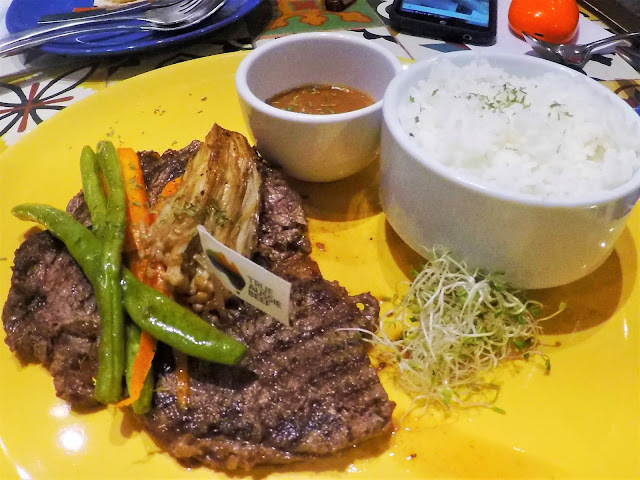 Most roast beef dishes are marinated with herbs and this dish tasted too similar to how Filipinos marinate our meat. I actually loved it! The saltiness complimented the white rice and the delicious mushroom sauce. It felt like eating a dish I've always recognized but with more flavor and with leaner meat. This slab of beef didn't have fat in it.